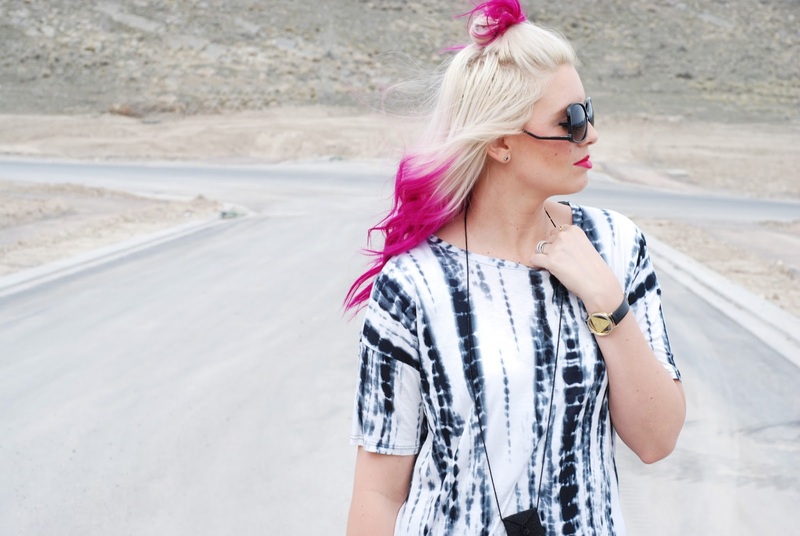 Tie dye and leather leggings. This outfit was worn to work last week when I decided I wanted a comfy "fat" day. When I know I will most likely stress eat at work, I wear leggings and tunics. I'm terrible I know. I have no control and I love food. Sue me. If you follow me on Insta I shared some really cool sunnies a few days ago. This company is awesome. 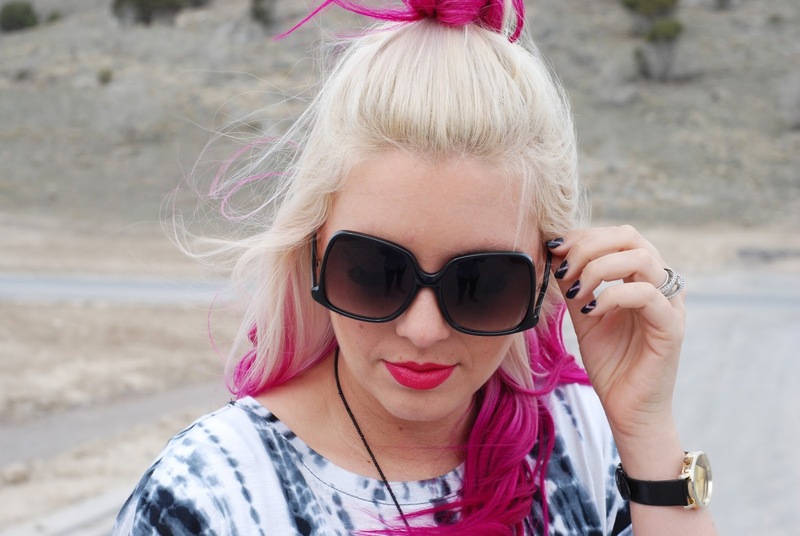 They have the coolest unique and fun sunnies at a GREAT price! The ones I am wearing look like they are upside down, but don't worry, they aren't. I looked like a fool trying to figure out which way to put these on. I am all about the funky. So... long story short, check out FREYRS and buy a fun pair of sunnies you normally wouldn't buy! Good luck and if you get a pair please share! I love seeing the fun things people purchase!